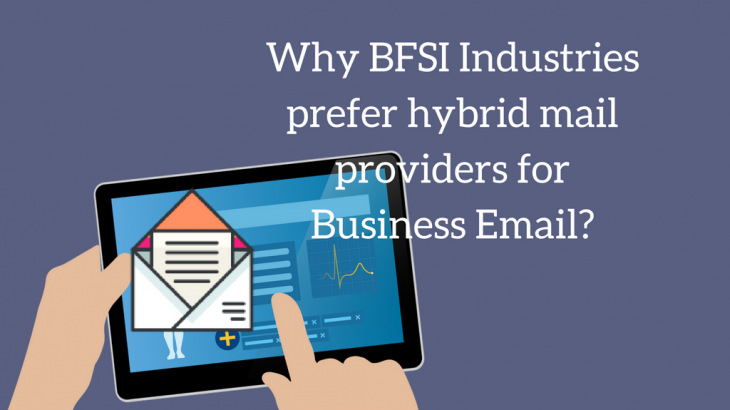 Why BFSI Industries prefer hybrid mail providers for Business Email? Microsoft office 365 is the appropriate solution to rightly address these requirements. And Cloud Zimbra can provide these features along with few other additional features. And this is the most important reason that they prefer Hybrid Mail Providers like us. Realizing this need of BFSI Industry, Logix Infosecurity has come up with the idea of Hybrid Mail Solutions – Combining Microsoft Office 365 & Cloud Zimbra. With hybrid mail providers like us, BFSI users can have the best of both worlds without unnecessary expenses and the guaranteed Uptime mentioned in the SLA. Infact, Cloud Zimbra Mailboxes positioned for partners, contractors, agents comes with an additional benefit. They can allocate the Mailbox size for the Employees as per their requirement , starting from 2Gb Mailbox per user. Logix Infosecurity Pvt Ltd being the largest Zimbra Service Provider Partner & Microsoft Cloud Service Provider can seamlessly integrate both offerings Office 365 and Cloud Zimbra providing unique Hybrid Mail Solutions. The following table will offer a clear understanding of the Cost benefit, this service will bring to your Organization. You need not to go with hypothetical calculation. Try our Hybrid Email Cost-Saving Calculator and Calculate savings for your organization.